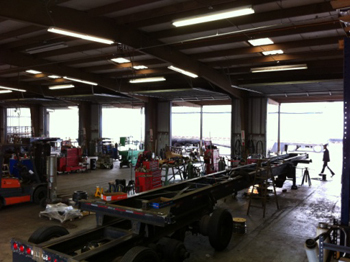 At WW Trailers, we know that downtime costs you and your fleet time and money. That’s why you can expect a quick turnaround from our shop. We strive to get your equipment back on the road where it belongs: making you money. We operate with 10 service ready bays staffed with qualified and experienced technicians. Our fully-stocked OEM and aftermarket parts department, combined with our competitive labor rates, assures our customers both quality and value. Our mission centers on customer service and satisfaction, so when you need it done right the first time, make WW Trailers your first and only call. 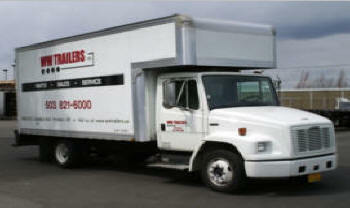 WW Trailers has the most versatile mobile service technicians in the area. Whether you need federal or state inspections, regular maintenance, minor or major repairs, road side assistance, or assistance in your own shop, WW Trailers mobile service is your solution. Our management team has decades of experience in the industry. Call them today for a free on-site estimate. We are committed to providing quality service and customer satisfaction. Let us earn your business. Call Today!